MOSCOW (Sputnik) - The United States and China have officially put their trade war "on hold" after the two sides managed to achieve agreement on balancing bilateral trade, US Treasury Secretary Steven Mnuchin said on Sunday. "We’ve made very meaningful progress and we agreed on a framework, which includes their agreement to reduce the trade deficit by increasing their purchases of goods … We are putting the trade war on hold. Right now, we have agreed to put the tariffs on hold while we try to execute the framework," Mnuchin told the Fox News broadcaster. 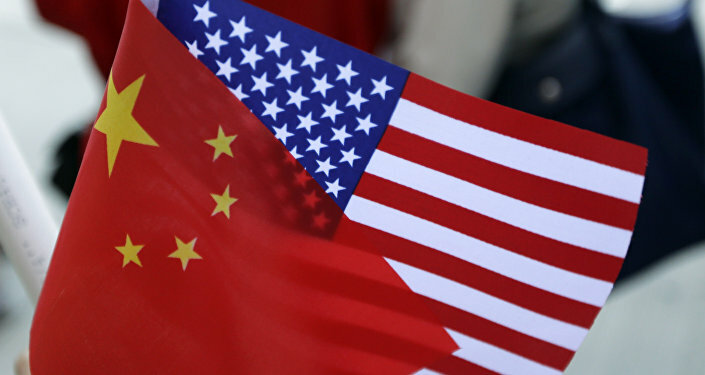 The official specified that Beijing had agreed to implement "structural" changes to the Chinese economy in order to reduce the US trade deficit with China and provide fair market conditions for the US businesses in the Asian country. "We have very hard commitments in agriculture, where we expect to see very big increases of 35 to 40 percent this year alone. The energy purchases are doubling, I think that you could see $50-60 billion a year of energy purchases over the next three to five years," the US treasury secretary noted. However, Mnuchin refused to define whether Washington managed to command an initial reduction of $200 billion from China. The statement was made in wake of consultations between US and Chinese trade delegations hosted by Washington earlier this week. The countries adopted a joint declaration, in which they vowed to take effective measures on reducing the trade deficit, as well as to significantly increase the exports of US goods and services to China. The talks were reasoned by the recent tensions between China and the United States, which have escalated after US President Donald Trump threatened to slap steep tariffs on Chinese exports to the United States. In response, Beijing vowed to retaliate against US exports to China with a matching value.